Each pack has 36 edible wafer cartoon eye decorations in beautiful packaging. The pack contains - 36 sets of eyes + 6 tears - We only have eyes for you! Great for making Monsters (both happy & sad) and just for eyeing up your cakes. 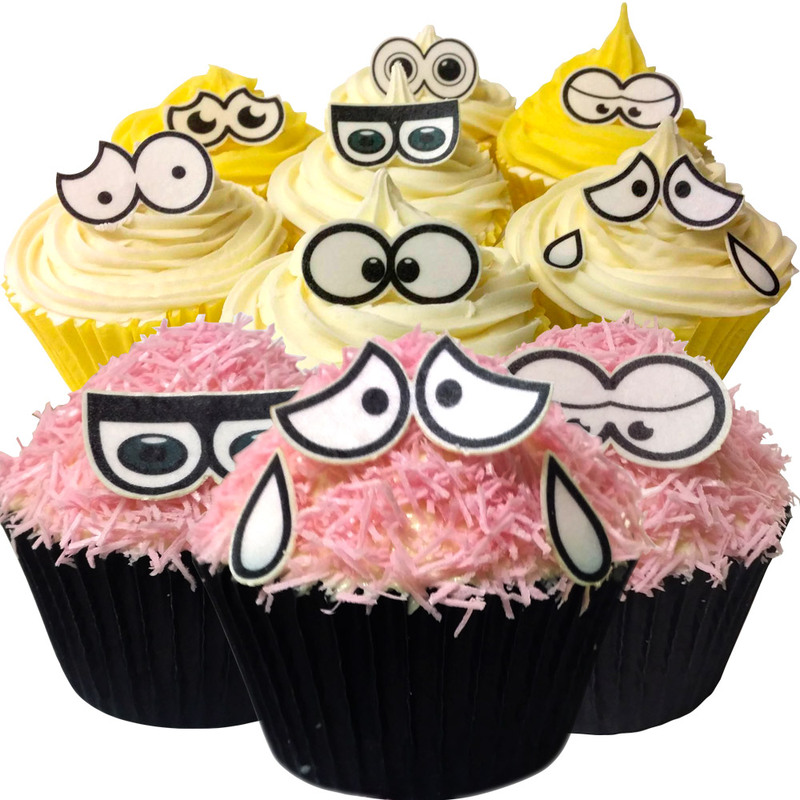 These edible wafer eyes are simply great for making funny faces on cakes. Many parents use them to encourage their children to eat lots of different foods by cheering up vegetables, jazzing up fruit or simply using them as a treat.